The Devil is in the Donuts. I find oatmeal to be rather boring – brown, mushy and bland. If weren’t for its healthy attributes, lowering cholesterol, making your heart happy, providing loads of fiber – bla bla bla – I wouldn’t look at it twice. So why dedicate a blog entry to it? Because after bingeing on donuts, chips and salsa, burgers, gelato and more chips and salsa for an entire weekend my body started cussing and threatening me. It wasn’t pretty, but fortunately we were in Solana Beach, and Naked Cafe was a short (much needed) walk away. Most trips to Naked usually have me elbow deep in blueberry pancakes or a plate full of quinoa, eggs and salsa. But that day was different. That day I was going to order what I see all the athletic San Diegans order – Naked’s famous oatmeal. Those seductive pancakes would have to wait another day. I could feel my insides breathe a sigh of relief. What’s the big deal you ask? For starters this wasn’t your run-of-the-mill instant cardboard oatmeal packed with sugar. It was slowly cooked steel cut oats, the granddaddy of oatmeal. It’s not rolled like most oatmeal we are used to seeing. It looks like a nugget of grain, and to bring out all of its goodness, it must cooked low and slow, and it’s worth every minute. 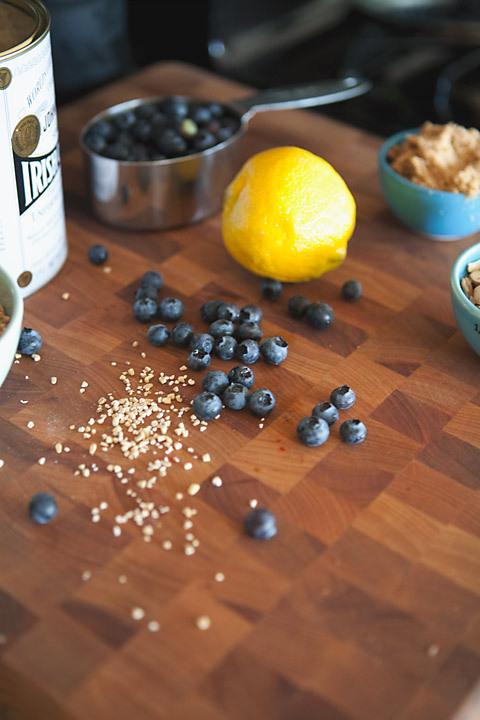 At Naked, they finish their oatmeal with cream, a touch of brown sugar, sliced almonds and blueberries. I have never had oatmeal this amazing before. Steve even came out of his own food coma and finished off my bowl. At that moment I vowed to liven up my own “steel oat morning” routine. 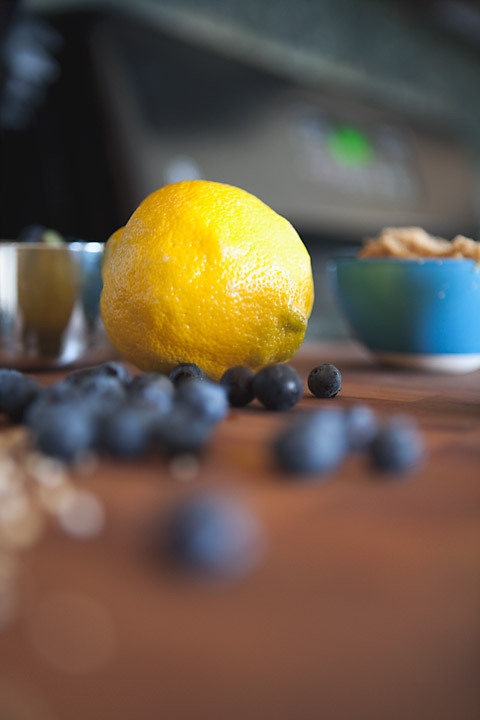 I began by channeling one of my favorite recipes from our stay in Cowichan Bay – a fantastically delicious blueberry scone, and give it a little extra “umph” of cinnamon, nutmeg and cloves. I was so thrilled with the results that I had to share. This will change your mornings. I promise. And your insides will thank you! This dish takes about 45 minutes to make, but it provides a week’s worth of delicious breakfasts. I’ll make a big batch on a Sunday after dish duty and take portions to work everyday. You’ll even get bonus brownie points because of the health factor, although brownie points hardly seem fair if you are eating healthy…maybe blueberry points! I like that better. The below ingredients are only guidelines. Feel free to adjust to your tastes. You may want less sugar and more berries or more sugar and no cloves – that’s the beauty of this recipe! Bring 4 cups of water to a boil. 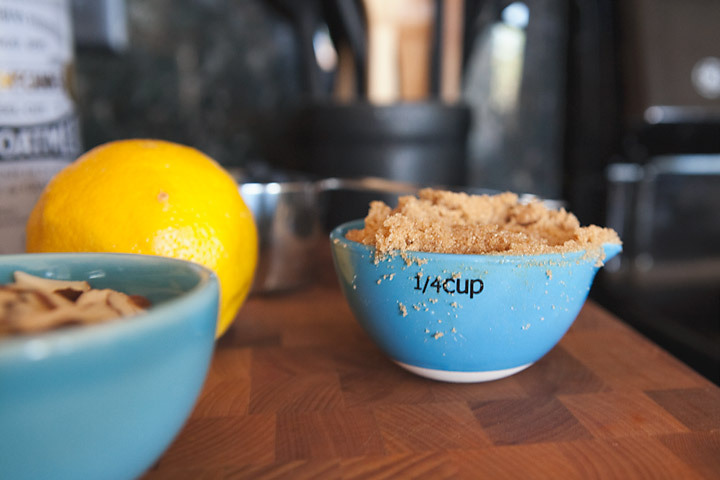 Add dash of salt and oatmeal. Stir. Reduce heat to medium – low and let oatmeal simmer for about 30 minutes. Stir regularly. Cook until most of the liquid is gone. Remove from heat and all your goodies! Enjoy right away or put it in the fridge for breakfast for the next week. « I never met a wall of blackberries I didn’t like. Hey Chassie! Our blueberries are almost ripe and we our crop will be much larger than last year…I like your twist on the Affinity Blueberry scone…yippee! You’re awesome! This sounds really good. 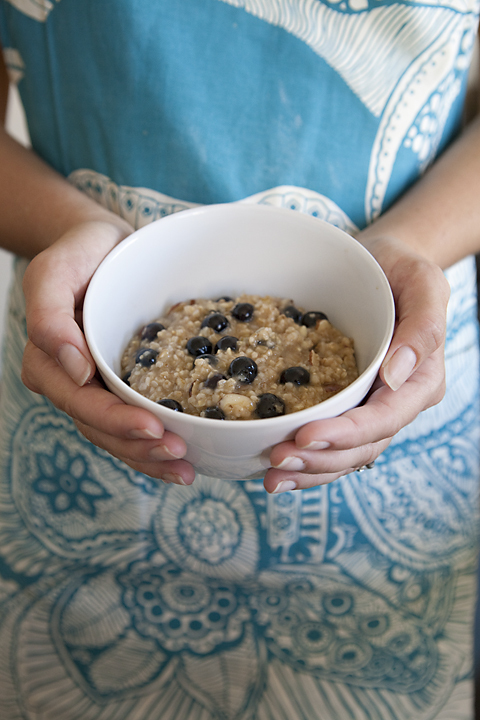 I love oatmeal (oat groats are a great option too). I’ll be trying this recipe for sure. Thanks! Steel cut oatmeal is true food for the soul. It is rainy today and I wish I could be curled up on my couch with some.